I dread the office Secret Santa. I have a knack for choosing well-meaning but inappropriate presents, like a bottle of port for a teetotaller, a cheese-tasting experience for a vegan, or heaven forbid, Spurs socks for an Arsenal supporter. Ok, the last one was intentional. It’s the same with gifting code. Once, I made a pattern library for A List Apart which I open sourced, and a few weeks later, a glaring security vulnerability was found in it. My gift was so generous that it enabled unrestricted access to any file on any public-facing server that hosted it. With platforms like GitHub and npm, giving the gift of code is so easy it’s practically a no-brainer. This giant, open source yankee swap helps us do our jobs without starting from scratch with every project. But like any gift-giving, it’s also risky. Open source code is not inherently more or less vulnerable than closed-source code. What makes it higher risk is that the same piece of code gets reused in lots of places, meaning a hacker can use the same exploit mechanism on the same vulnerable code in different apps. There are many more types of vulnerability, and those that live under the same category share similarities. For example, my favourite – is it weird to have a favourite vulnerability? – is Cross Site Scripting (XSS), which allows for the injection of scripts into web pages. This is a really common vulnerability often unwittingly added by developers. OWASP (the Open Web Application Security Project) wrote a great article about how to prevent opening the door to XSS attacks – share it generously with your colleagues. Most vulnerabilities like this are not added intentionally – they’re doors left ajar due to the way something has been scripted, like the over-generous code in my pattern library. Others, though, are added intentionally. A few months ago, a hacker, disguised as a helpful elf, offered to take over the maintenance of a popular npm package that had been unmaintained for a couple of years. The owner had moved onto other projects, and was keen to see it continue to be maintained by someone else, so transferred ownership. Fast-forward 3 months, it was discovered that the individual had quietly added a malicious package to the codebase, and the obfuscated code in it had been unwittingly installed onto thousands of apps. The code added was designed to harvest Bitcoin if it was run alongside another application. It was only spotted due to a developer’s curiosity. Another tactic to get developers to unwittingly install malicious packages into their codebase is “typosquatting” – back in August last year, npm reported that a user had been publishing packages with very similar names to popular packages (for example, crossenv instead of cross-env). This is a big wakeup call for open source maintainers. Techniques like this are likely to be used more as the maintenance of open source libraries becomes an increasing burden to their owners. After all, starting a new project often has a greater reward than maintaining an existing one, but remember, an open source library is for life, not just for Christmas. If you use open source libraries, chances are that these libraries also use open source libraries. Your app may only have a handful of dependencies, but tucked in the back of that sleigh may be a whole extra sack of dependencies known as deep dependencies (ones that you didn’t directly install, but are dependencies of that dependency), and these can contain vulnerabilities too. Let’s look at the npm package santa as an example. santa has 8 direct dependencies listed on npm. That seems pretty manageable. But that’s just the tip of the iceberg – have a look at the full dependency tree which contains 109 dependencies – more dependencies than there are Christmas puns in this article. Only one of these direct dependencies has a vulnerability (at the time of writing), but there are actually 13 other known vulnerabilities in santa, which have been introduced through its deeper dependencies. If you’re a maintainer of open source libraries, taking good care of them is the ultimate gift you can give. 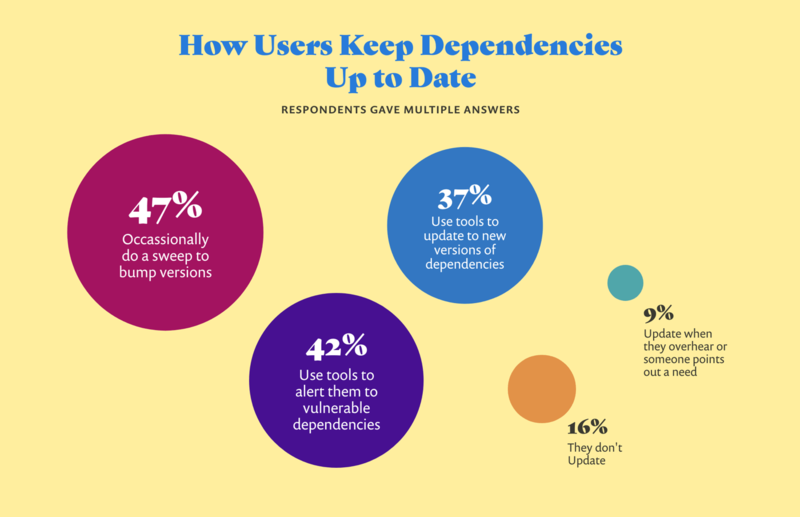 Keep your dependencies up to date, use a security tool to monitor and alert you when new vulnerabilities are found in your code, and fix or patch them promptly. This will help keep the whole open source ecosystem healthy. You can often fix a vulnerability by upgrading the library to the latest version. Make sure you’re using software that monitors your dependencies for new security issues and lets you know when a fix is ready, otherwise you may be unwittingly using a vulnerable version. Sometimes, a fix for a vulnerable library isn’t possible. This is often the case when a library is no longer being maintained, or the version of the library being used might be so out of date that upgrading it would cause a breaking change. Patches are bits of code that will fix that particular issue, but won’t change anything else. If the library you’re using has no fix or patch, you may be better of switching it out for another one, particularly if it looks like it’s being unmaintained. A malicious developer will exploit that vulnerability for their own gain. A reckless (or inexperienced) developer will disclose that vulnerability to the world without following a responsible disclosure process. This opens the door to an unethical developer exploiting the vulnerability. At Snyk, we monitor social media for mentions of newly found vulnerabilities so we can add them to our database and share fixes before they get exploited. An ethical and aware developer will follow what’s known as a “responsible disclosure process”. They will contact the maintainer of the code privately, allowing reasonable time for them to release a fix for the issue and to give others who use that vulnerable code a chance to fix it too. It’s important to understand this process if you’re a maintainer or contributor of code. It can be daunting when a report comes in, but understanding and following the right steps will help reduce the risk to the people who use that code. So what does responsible disclosure look like? I’ll take Node.js’s security disclosure policy as an example. They ask that all security issues that are found in Node.js are reported there. (There’s a separate process for bug found in third-party npm packages). Once you’ve reported a vulnerability, they promise to acknowledge it within 24 hours, and to give a more detailed response within 48 hours. If they find that the issue is indeed a security bug, they’ll give you regular updates about the progress they’re making towards fixing it. As part of this, they’ll figure out which versions are affected, and prepare fixes for them. They’ll assign the vulnerability a CVE (Common Vulnerabilities and Exposures) ID and decide on an embargo date for public disclosure. On the date of the embargo, they announce the vulnerability in their Node.js security mailing list and deploy fixes to nodejs.org. Tim Kadlec published an in-depth article about responsible disclosures if you’re interested in knowing more. It has some interesting horror stories of what happened when the disclosure process was not followed. Add a SECURITY.md file to your project so someone who wants to message you about a vulnerability can do so without having to hunt around for contact details. Last year, Snyk published a State of Open Source Security report that found 79.5% of maintainers do not have a public disclosure policy. Those that did were considerably more likely to get notified privately about a vulnerability – 73% of maintainers who had one had been notified, vs 21% of maintainers who hadn’t published one one. Some companies run bug bounties to encourage the responsible disclosure of vulnerabilities. By offering a reward for finding and safely disclosing a vulnerability, it also reduces the enticement of exploiting a vulnerability over reporting it and getting a quick cash reward. Hackerone is a community of ethical hackers who pentest apps that have signed up for the scheme and get paid when they find a new vulnerability. Wordpress is one such participant, and you can see the long list of vulnerabilities that have been disclosed as part of that program. If you don’t have such a bounty, be prepared to get the odd vulnerability extortion email. Scott Helme, who founded securityheaders.com and report-uri.com, wrote a post about some of the requests he gets for a report about a critical vulnerability in exchange for money. On one hand, I want to be as responsible as possible and if my users are at risk then I need to know and patch this issue to protect them. On the other hand this is such irresponsible and unethical behaviour that interacting with this person seems out of the question. It’s time to brush the dust off those old gifts that we shared and forgot about. 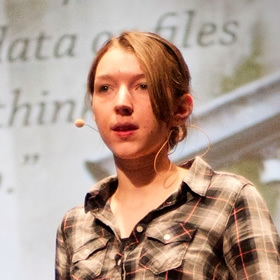 Practice good hygiene and run them through your favourite security tool – I’m just a little biased towards Snyk, but as Katie mentioned, there’s also npm audit if you use Node.js, and most source code managers like GitHub and GitLab have basic vulnerability alert capabilities. Most importantly, patch or upgrade away those vulnerabilities away, and if you want to share that Christmas spirit, open fixes for your favourite open source projects, too. Stephanie Drescher is making a list and checking it twice to introduce an open source web linting tool that will help identify parts of your site that are naughty or nice. So roll up your sleeves and brush up on your best practices – there’s websites to fix. Katie Fenn opens the door on our 2018 season by transporting us back to the turn of the century when new lessons were being learned about web security. Those who don’t learn from the past are condemned to repeat it, so fasten up your winter coat and let Katie lead you through some of the darker parts of the forest. Guy Podjarny sounds a sober warning during our festivities, and gathers some winter fuel to help secure your apps and users from the web’s occasionally cruel frost. So mark his footsteps good, my friend, and tread thou in them boldly. Thou shalt find the hacker’s rage freeze thy site less coldly.